July 24, 1998: Saving Private Ryan opened; it was in the lead image promo. This was the attack that ultimately led to the creation of the US Capitol Visitor Center. 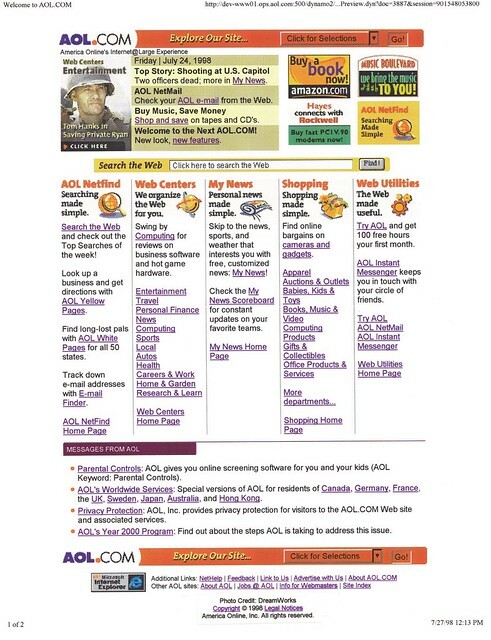 In other happenings, this was the first promo block promotion for AOL NetMail. 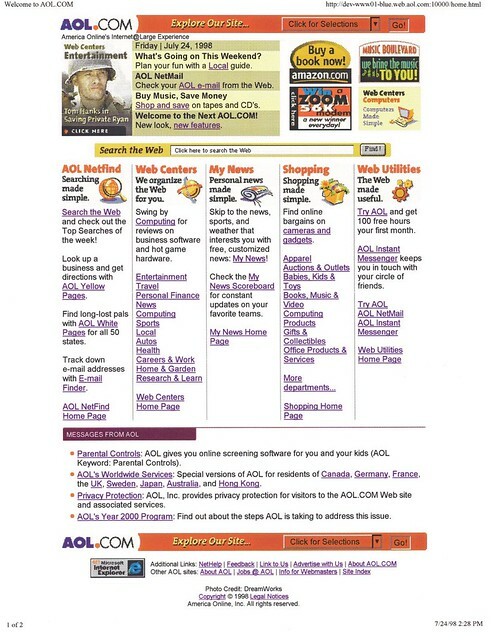 I think at this time it was still powered by an ActiveX plugin; it would become a lot more central to the site.